Why Was the Parkland Shooting Different? We’ve become desensitized to mass violence. I’m certainly not the first to point this out, and I won’t be the last. Tragedies (e.g., violent criminal acts) happen followed by outrage and sadness. Politicians and civic leaders tell us enough is enough. New solutions are proposed and bandy around. Some stick. Some don’t. Our sleepless news cycle covers it, and then it’s forgotten in a matter of days. As a police chief responsible for the safety of an educational community, I remember when bad things were shocking and horrible. I remember when we knew about bad things before the community and we were able to control and shape the message. A message that explained the situation gave the needed assurances, instilled confidence that we were acting appropriately in our response, and restored a sense of safety to the community. Today, bad things happen, and we anticipate reports of the next bad thing. It’s no longer shocking. Malcolm Gladwell explains a tipping point as, “the moment of critical mass, the threshold, the boiling point,” when an idea spreads like wildfire. In this case, the tipping point arrived in the form of a handful of young people with a particular ability to speak emphatically, personally, and compassionately to the tragic loss of life; and the role that certain weapons played. The Parkland students’ message stuck and resonated. Gladwell spoke to the fact that epidemics, “are sensitive to the conditions and circumstances of the times and places in which they occur.” The Parkland tragedy hit on all of the above. A deranged individual with access to mass killing weapons took innocent lives. He did so at a time when kids across the nation were fed up with school violence. In the aftermath, a group of people realized they could speak to the establishment without care of political retribution. The horrific tragedy, itself, isn’t what made the shooting in Parkland, FL any different from the other senseless tragedies that took human lives at our nation’s schools. What made this different is the arrival of the tipping point. These students called #$%^! on the gridlock for any reasonable solution, and on the people unable to get out of the way of progress to end the violence at hand. The solution is far more complex than gun control. My wife teaches criminal justice and is an expert in mass murder. She reminds me that, with help from the media, we tend to remember the names of the perpetrators of violence and rarely their victims. Given this, and in honor of the people who lost their lives on February 14, 2018, at Marjory Stoneman Douglas High School in Parkland, FL, I choose to refer to the shooter as Mr. Doe. Mr. Doe left a trail of signs seen by those around him, including the most common communication tool for his generation – social media. Multiple reports after the shooting brought to light a stream of posts signaling his intent – some dating back two years prior. People connected to him saw these signs, and they told authorities something terrible would likely happen at his hands. Mr. Doe was arguably reaching out for help, perhaps in ways that even he was unaware of. We have an obligation to those who have lost their lives in Parkland and before, at the hands of violent actors, to glean lessons. We need to know what could be different; what we could do to prevent such senseless horror. Every student in every school in this great nation deserves to have someone paying attention to them; an adult who cares and who understands. For me, it was Steve Garneau, my high school math and computer science teacher. He paid attention. He knew when I was in need of help, and he genuinely cared. There is no question that we need to mitigate reasonable risks with reasonable solutions. As technology evolves, the answers are certainly technical. Security cameras, mass notification, access control, and now social media threat alerts. Each plays an essential role in a layered approach to protecting our schools, but at the heart of it all is the connection between each young person and a teacher or administrator or staff member who cares. It’s all connected. 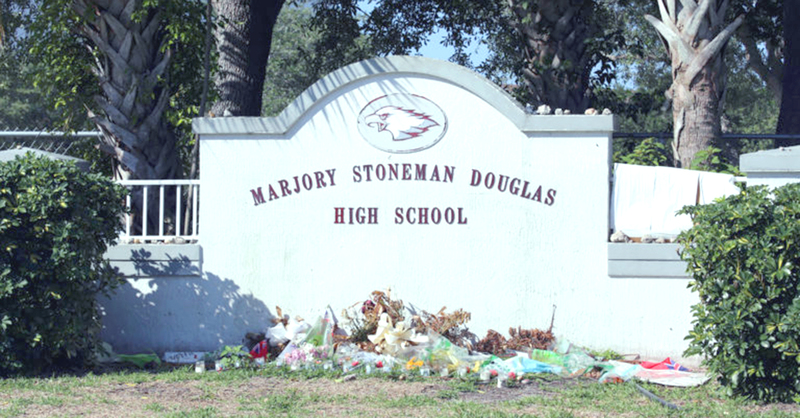 We cannot allow ourselves to become numb to the pain and grief of tragedies like Parkland. It is that very pain and shock that drives us to action, dialogue and purpose. We owe it to the people who lost their lives not to have their sacrifice be easily forgotten.